Welcome back after the summer holidays! Hopefully, you’re feeling refreshed and ready to face the challenges of the year ahead. We’ve got lots of handy resources to help you and your pupils get back into the swing of things and make a brilliant start to the new school year. 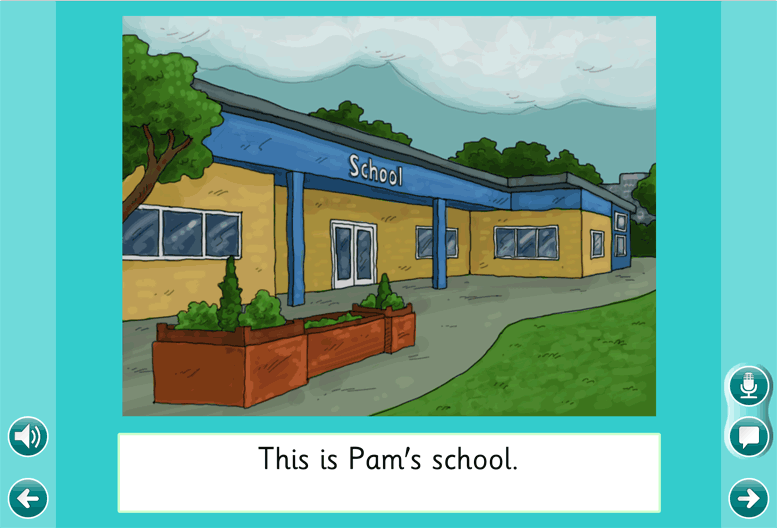 Young learners will love our new resources about Pam’s School. Featuring brand new, beautifully illustrated pictures, children can read and write sentences about the places and people in Pam’s school. It’s an ideal resource for pupils who are just starting school this year. Why not use the Quick Page Writing Book Wizard in Clicker 6 to help older pupils create a book about their school? They can record, add their own words and even their own paintings or photographs of their classroom, school and friends. Get them to share their books with the class or even with younger pupils in the school – it’s a great way to encourage confidence and presentation skills. Sticking with the theme, pupils can read, write and talk about the School Day, Getting Ready for School and Travelling to School. We also have a range of differentiated resources to help pupils record their personal goals for the year ahead and to consider appropriate classroom rules – now is the perfect time! Use the search term ‘school’ to find a range of resources on this topical theme. And don’t forget, as with all of our LearningGrids sets, it’s easy to make changes and personalise the resources, making them relevant to your pupils and your school. For many schools, this September sees lots of changes to the curriculum and we’re here to support you every step of the way – make sure you keep an eye on LearningGrids for lots of new curriculum resources coming your way. Here’s to a great start and another fantastic year of teaching and learning!